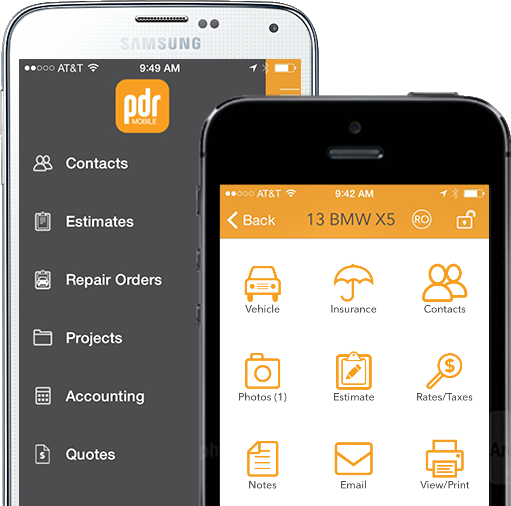 The app that's setting the industry standard when it comes to PDR estimating and business management. 'Lightning-Fast' estimate creation, saving time while increasing productivity and profitability. Loose the paper and make more money. 'Make It Rain' with the PDR Mobile app on your Apple or Android phone, tablet, or iPad. One membership...Any device! 'Call Down the Thunder' utilizing innovative photo features; editing and document integration. Experience the ease and convenience of damage assessments with the PDR Mobile 'All-In-1' screen. Quickly access and update panel damage severity and repair fees regarding; add-ons, R&I ,etc. 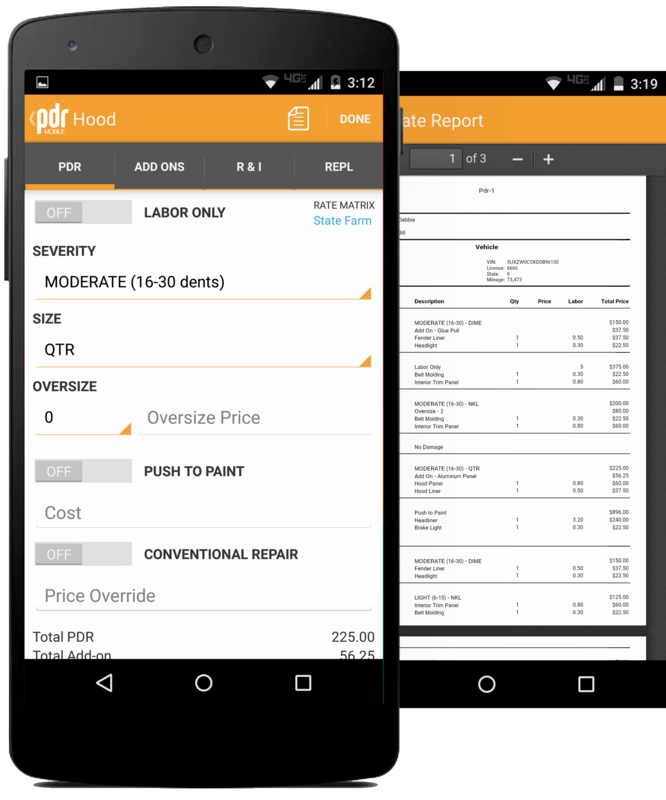 The PDR Mobile estimating app engine ensures estimating flexibility and accuracy, with dynamic preview features to capture and verify all vehicle restoration damage requirements. Rapidly send a comprehensive PDF repair package, complete with estimate and embedded photos. 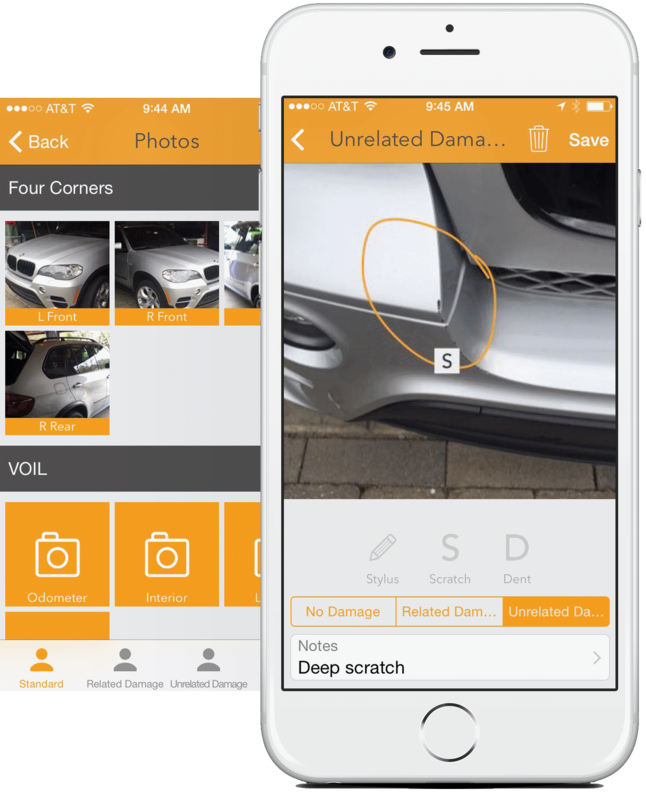 Organize photos by category type; related damage, unrelated damage and/or by specific panels. Once organized, PDR Mobile users can add a note to an image identifying critical customer narratives and collaboration. 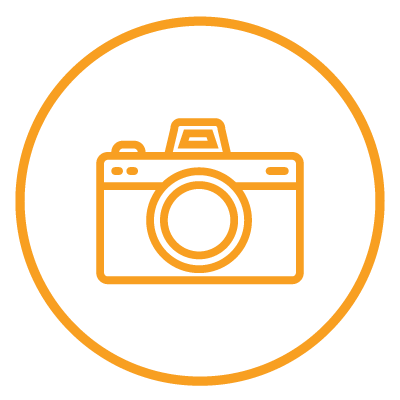 Pre-formatted industry image templates are available for greater project estimate consistency and preview continuity. Isolate image details with the PDR Mobile Zoom feature, allowing for greater scrutiny of project images prior to estimate sharing, simplifying the evaluation process and validating billable repairs found in the PDR Mobile estimate documentation. 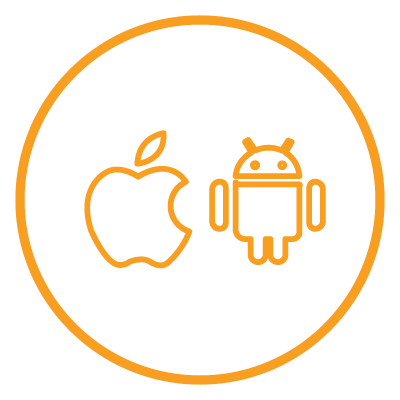 PDR Mobile provides users with efficient, elegant, intuitive navigation and menu options, allowing for ease of app use. 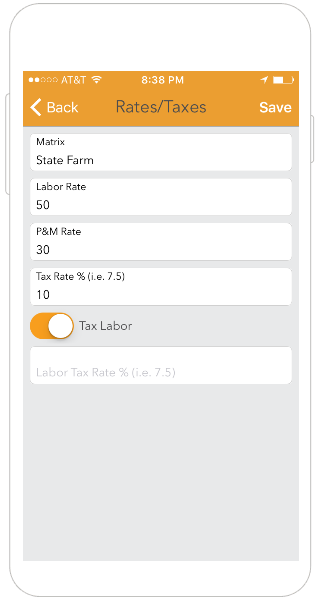 Rate matrices from major insurance carriers are pre-loaded, and you can customize your own rate matrix as well. 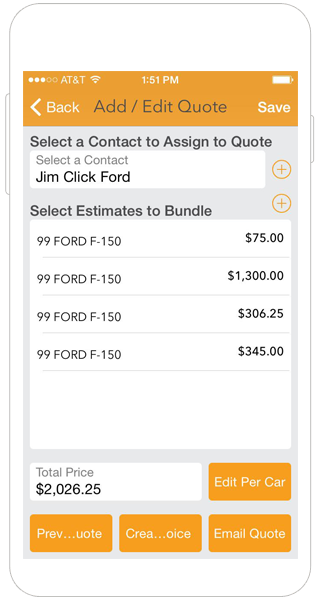 The quoting feature allows you to bundle multiple estimates into a single quote where you can manage pricing and create an invoice in seconds. After pushin all day long, you certainly don’t want to hassle with writing invoices so you can get paid. 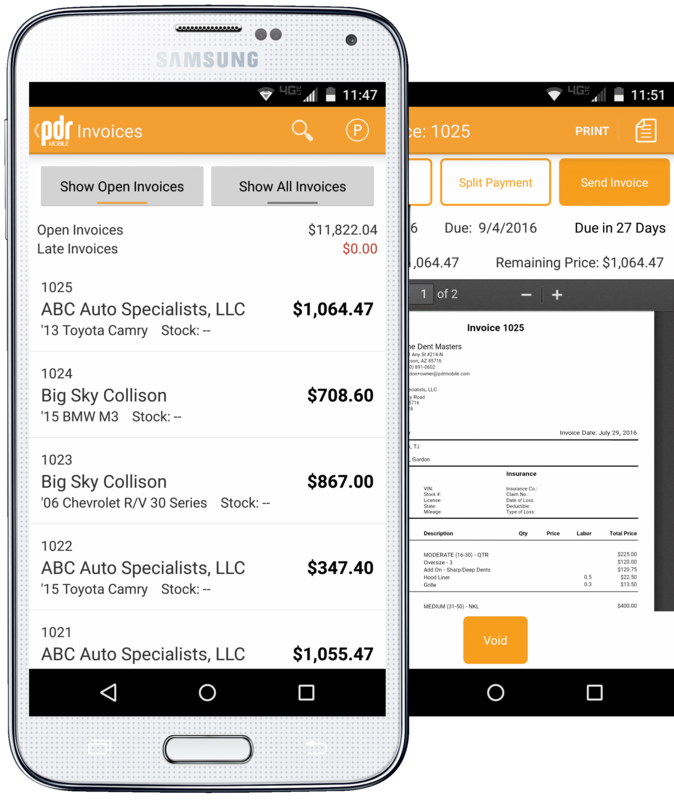 The PDR Mobile invoicing feature takes you from estimate to invoice in a few taps. Plus, the app provides you with the ability to always know who owes you money 24/7. 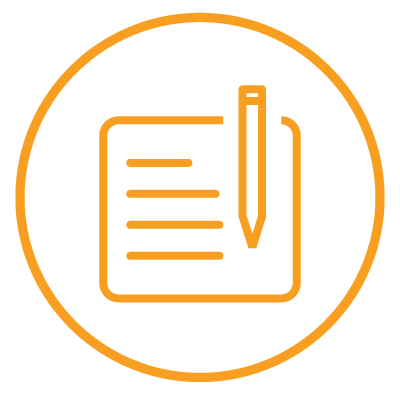 You can easily track your open unpaid invoices, print them, email them, and with the back office reporting you can generate customer statements too. Keep Track of Who Owes You Money! Collaboration is the fun part of being a PDR professional, however, keeping track of commission agreements, commission splits, multi-techs per vehicle, and so on, are not so fun. 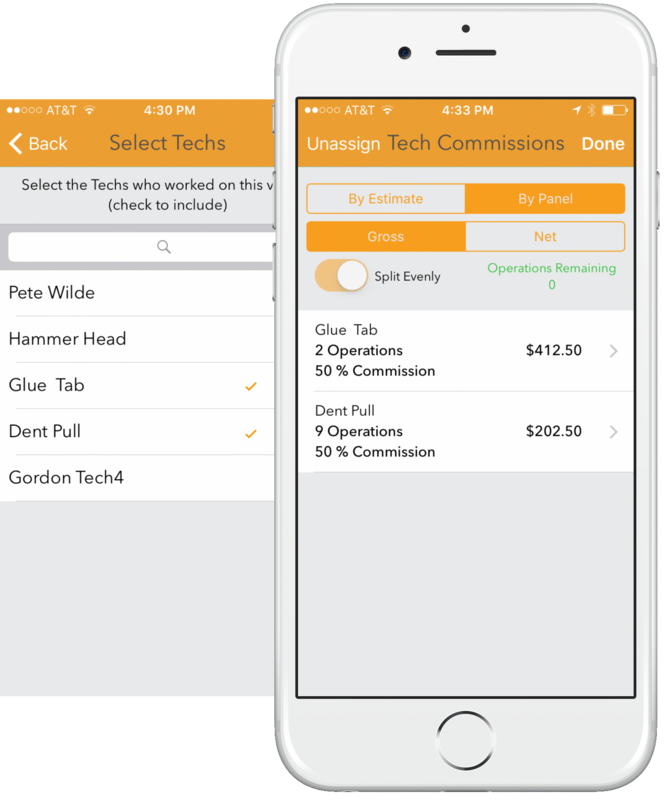 The PDR Mobile commission management feature provides you with a simple tool that automates all that. 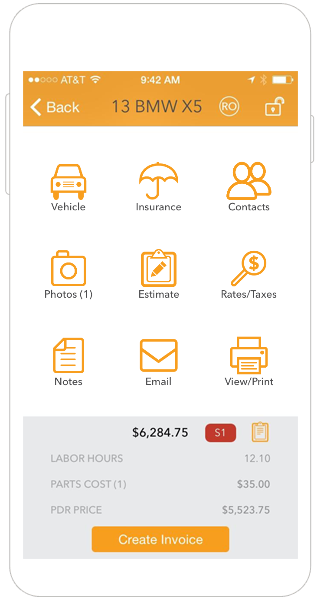 Allocate the job to a single person or multiple people, by panel, operation, or the entire job as a percentage, and once the job is invoiced PDR Mobile will do the pushin.